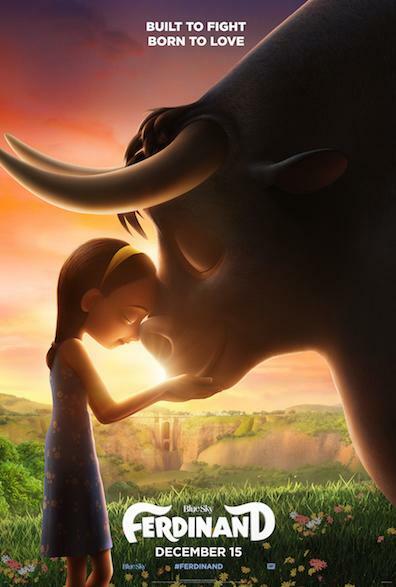 Here is the latest trailer from the upcoming film FERDINAND. 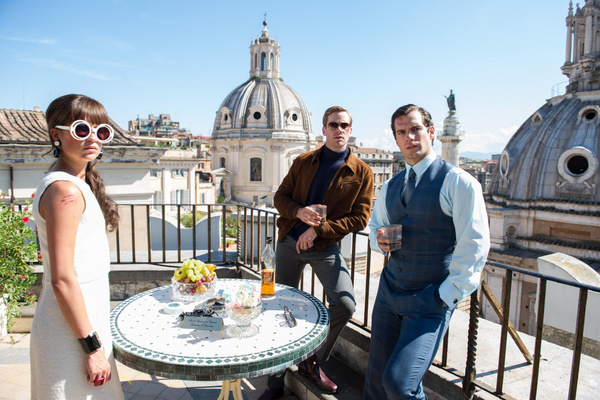 The film is directed by Carlos Saldanha, starring John Cena, Kate McKinnon, Gina Rodriguez, Daveed Diggs, Gabriel Iglesias, Bobby Cannavale, David Tennant, Anthony Anderson, Flula Borg, Sally Phillips, Boris Kodjoe, Jerrod Carmichael, Raúl Esparza, Karla Martínez, Miguel Ángel Silvestre. 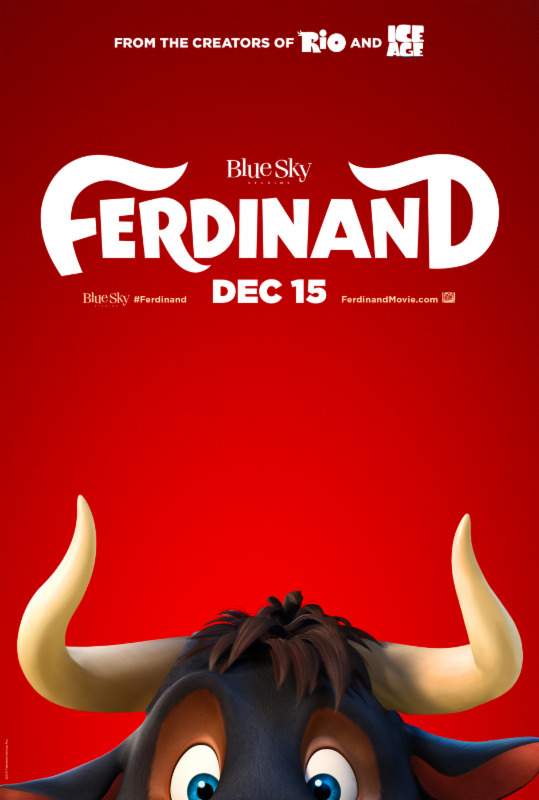 FERDINAND hits theaters everywhere on December 15, 2017! 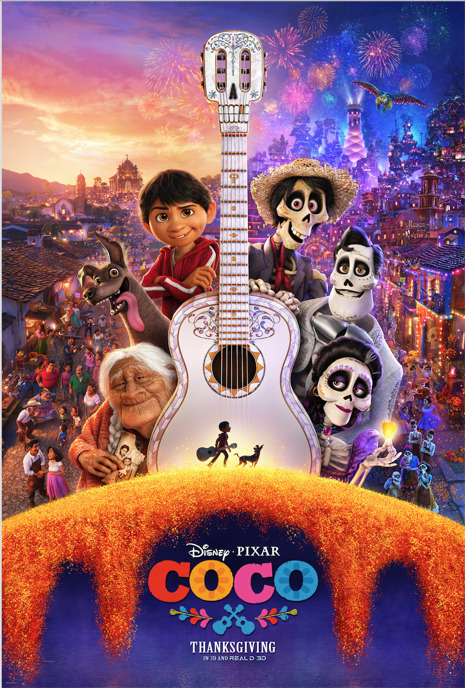 Here is the trailer from DISNEY·PIXAR’S “COCO”. The film is directed by Lee Unkrich. starring Gael García Bernal, Anthony Gonzalez, Benjamin Bratt, Renée Victor, Ana Ofelia Murguía, Jaime Camil, Sofía Espinosa, Luis Valdez, Lombardo Boyar, Edward James Olmos, Alanna Ubach, Selene Luna, Alfonso Arau, Herbert Siguenza, Octavio Solis, Gabriel Iglesias, Cheech Marin, Blanca Araceli. Here is the new trailer from the upcoming film FERDINAND. The film is directed by Carlos Saldanha, starring John Cena, Kate McKinnon, Gina Rodriguez, Daveed Diggs, Gabriel Iglesias, Bobby Cannavale, David Tennant, Anthony Anderson, Flula Borg, Sally Phillips, Boris Kodjoe, Jerrod Carmichael, Raúl Esparza, Karla Martínez, Miguel Ángel Silvestre. Here is the trailer from the upcoming film FERDINAND. 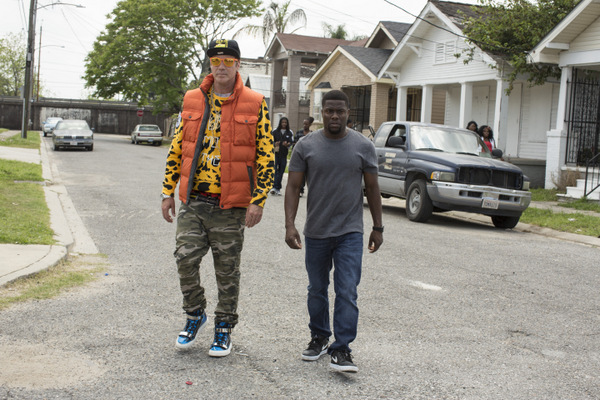 The film is directed by Carlos Saldanha, starring John Cena, Kate McKinnon, Gina Rodriguez, Daveed Diggs, Gabriel Iglesias, Bobby Cannavale, David Tennant, Anthony Anderson, Flula Borg, Sally Phillips, Boris Kodjoe, Jerrod Carmichael, Raúl Esparza, Karla Martínez, Miguel Ángel Silvestre. ERDINAND hits theaters everywhere on December 15, 2017! Here is the trailer for the upcoming film MAGIC MIKE XXL. The movie is directed by Gregory Jacobs, starring Channing Tatum, Matt Bomer, Joe Manganiello, Kevin Nash, Adam Rodriguez and Gabriel Iglesias. Joining the returning cast, in brand new roles, are Amber Heard (“The Rum Diary”), Donald Glover (“Community”), Michael Strahan (“Live with Kelly and Michael”), with Andie MacDowell (“Footloose”), Elizabeth Banks (“The Hunger Games” franchise), and Jada Pinkett Smith (“Gotham”). Picking up the story three years after Mike bowed out of the stripper life at the top of his game, “Magic Mike XXL” finds the remaining Kings of Tampa likewise ready to throw in the towel. But they want to do it their way: burning down the house in one last blow-out performance in Myrtle Beach, and with legendary headliner Magic Mike sharing the spotlight with them. 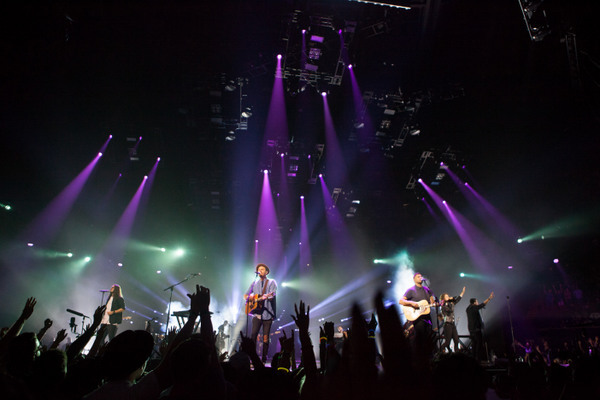 On the road to their final show, with whistle stops in Jacksonville and Savannah to renew old acquaintances and make new friends, Mike and the guys learn some new moves and shake off the past in surprising ways. Here is the trailer from the upcoming film THE BOOK OF LIFE. 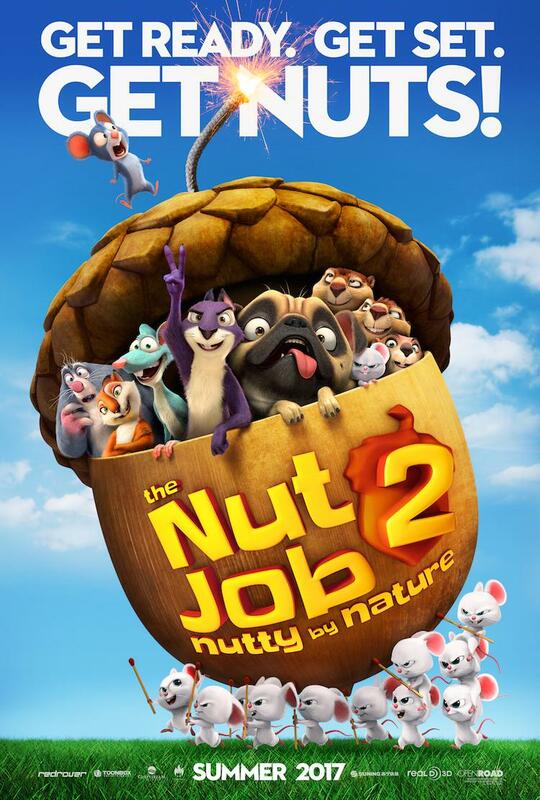 The film is directed by Jorge Gutierrez, starring Diego Luna, Channing Tatum, Zoë Saldana, Ice Cube, Ron Perlman, Christina Applegate, Kate del Castillo, Cheech Marin, Placido Domingo, Hector Elizondo, Ana de la Reguera, Eugenio Derbez, Gabriel Iglesias, Ricardo “El Mandril” Sanchez, Danny Trejo. THE BOOK OF LIFE – opens in theaters on October 17, 2014!